During the past 30 years, the Chilean pork industry has been one of the industries with the highest growth in the agriculture and livestock-farming sector. Today, Chilean pork represents 36% of all meat production in Chile. The pork industry is authorized to export to 60 countries around the world, which is one of the reasons why pork is the most exported from this country. During 2016, pork represented 34% of the total of meats produced in the country with 507 CWE tons, 3& less than the year before due mainly to a lower slaughter weight. Of the total produced, 58% was exported. 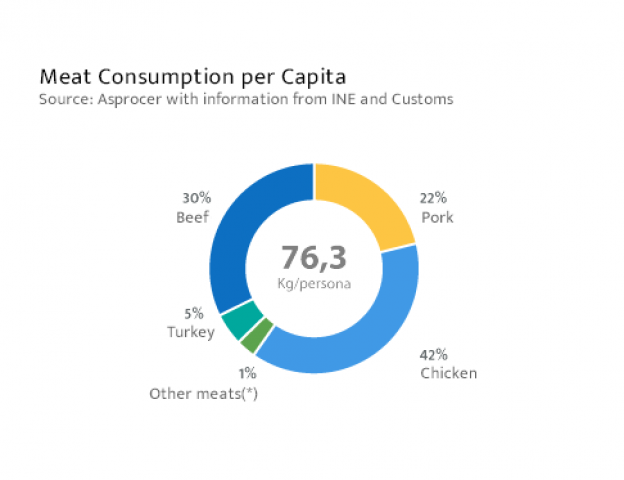 The consumption of pork during 2016 reached 16.7 kilos per capita, of which 30% corresponds to imported meat. It represents 21% of the consumption of meats per capita within the country. Exports were favorable due to a higher demand of imported produce from China, reaching a record of US 129 million Dollars (58% higher in value than 2015) and 119,889 CWE (a 38% increase in volume compared to the previous period). For the first time, China became the main export destination market. In global terms, exports increased 2% in volume, reaching a record level of 293 CWE tons. The main markets were China (29%), Japan (27%), and South Korea (22%), representing 78% of total exports. 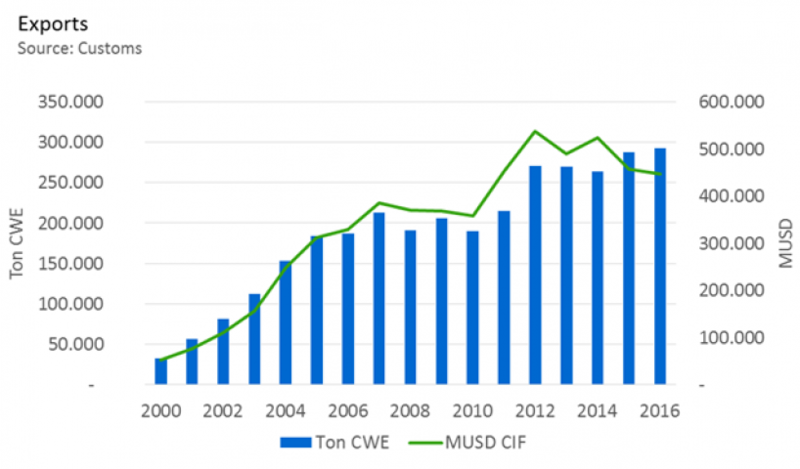 The growing trend of pork imports is clearly represented in the 62% increase seen in 2016 with 89 thousand CWE tons, versus 55 thousand CWE tons imported in 2015. 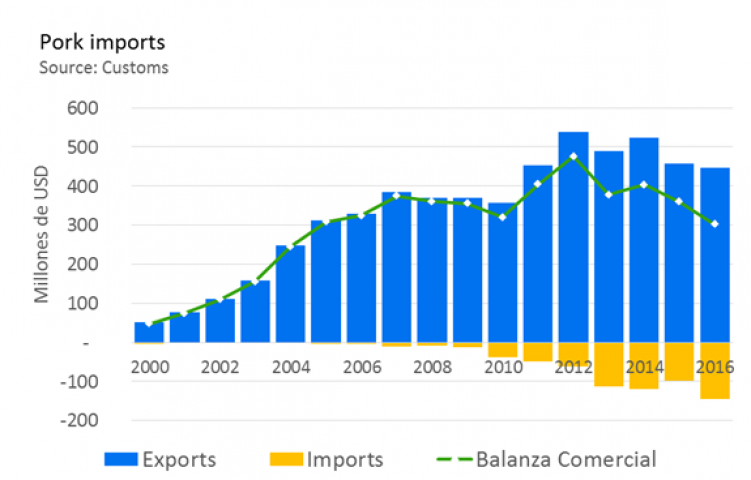 During the past 5 years, imports have grown at an annual rate of 31%. During 2016, imports represented 145 million USD in value, 47% more than in 2015, the year where it reached 98 million USD. This increase came mainly from Brazil (+209%), and secondly from the EU (specifically Poland). The origins were Brazil (41%), the United States (28%), Canada (18%), and the EU (13%).